""Toby Glenn Bates . 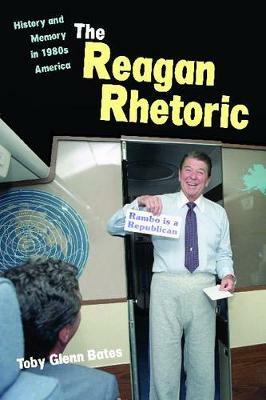 . . offers a well-written, balanced examination of Ronald Reagan's use of rhetoric throughout his presidency. . . . Bates looks at how Reagan's rhetoric about states' rights, the Vietnam War, the Soviet Union, and the Iran-Contra scandal often blurred the boundary between history and memory." --"Journal of American History"
""Toby Glenn Bates . . .offers a well-written, balanced examination of Ronald Reagan's use of rhetoric throughout his presidency. . . . Bates looks at how Reagan's rhetoric about states' rights, the Vietnam War, the Soviet Union, and the Iran-Contra scandal often blurred the boundary between history and memory." --"Journal of American History""